Chilean director Sebastián Lelio’s cinematic voice is a bold one. Fresh off the Oscar-winning success of A Fantastic Woman, he once again tackles queer and marginalized characters with Disobedience. Lelio transcends cultural barriers, his first English language film set amongst the Jewish Orthodox community of North London. While the cultural background is specific, the heart of the story is universal, as it explores the life that we’re born into, versus the one we want to forge for ourselves. 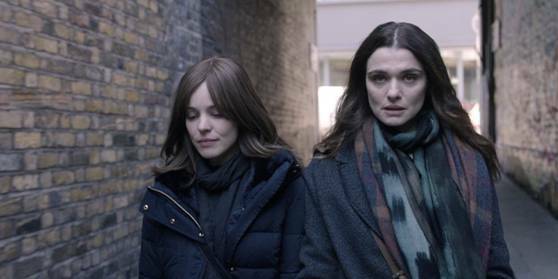 Thematically, Disobedience is about female oppression in society and religion, as well as the more widespread oppressive nature of religion itself. Ronit (Weisz) has escaped her life as a London Orthodox Jew, to become a successful New York photographer. After her rabbi father Rav passes away, she returns home to stay with her childhood friends Dovid (Nivola) and Esti (McAdams). They’re a conservative Orthodox couple, with Dovid – a disciple of Ronit’s late father – poised to take over the rabbinical role at the synagogue. While Ronit has left the Orthodox community, she must still reconcile with her religious roots and family, as one can never truly be free of the life they’re born into. Esti’s story arc makes this even more evident: She has spent her entire adult life as a devout Orthodox, denying her true self and her attraction to women. Rav as the community leader pressured her to deny her lesbian desires, while her best friend Dovid married her to keep her subservient. She is resentful of how men control her destiny, and even wryly expresses how women give up their identities on a daily basis as they change their names to their husband’s when they marry. Lelio’s thematic approach to oppression and marginilazation seems to carry through his body of work, from Gloria to A Fantastic Woman to Disobedience. While the aforementioned have a strong use of music and imagery to explore their issues, Disobedience uses a more subtle approach, displaying a washed-out colour palette and toned down presentation. Lelio’s directing style retains its masterful approach, as he executes each shot meticulously to make the story and meaning more powerful than even the excellent dialogue and performances can convey. His form of storytelling transcends culture and even medium to get to the emotional heart of the message. Perhaps it is this transcendence of culture, or the universal themes on display, that allows the performances by the three main actors to thrive. Alessandro Nivola in the supporting role offers a maturity to his performance unseen in any of his previous work. Rachel Weisz in the leading role has also never been as sympathetic and reservedly complex as she is here. But it is Rachel McAdams who is a revelation in this film, offering a career best achievement as Esti, a woman so repressed that she will self-destruct to break free. Disobedience strongly explores the idea of freedom – what it means to be free and how to choose your own desires over oppressive ideology. Self and societal repression need not prevail, while disobedience against the oppressors may be the only path to true freedom. A powerful film with career-best performances, Disobedience affirmatively puts Sebastián Lelio on the map as a director who goes beyond cultural restraints to truly conquer universal themes and emotions. 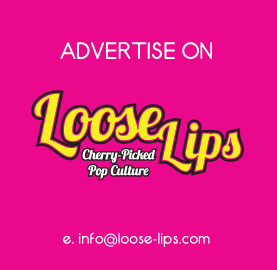 This entry was posted on Sunday, November 25th, 2018 at 8:03 am	and is filed under Features, Film, Review.